World Environment Day 2018: To raise awareness about protecting the environment, United Nations (UN) has designated June 5 as World Environment Day. 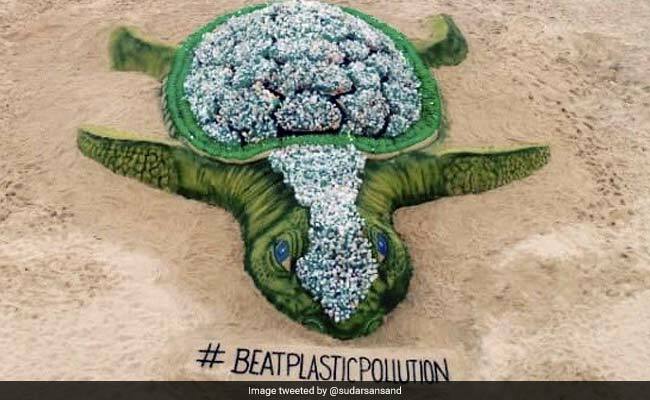 World Environment Day 2018: India is the host country for this year's celebration. New Delhi: World Environment Day is the United Nations' (UN) most important day for encouraging worldwide awareness and action for the protection of our environment. Since it began in 1974, it has grown to become a global platform for public outreach that is widely celebrated in over 100 countries. World Environment Day is the "people's day" for doing something to take care of the Earth. Each World Environment Day is organised around a theme that focuses attention on a particularly pressing environmental concern. The theme for the World Environment Day 2018, "Beat Plastic Pollution". The theme invites everyone to consider how they can make changes in their everyday lives to reduce the heavy burden of plastic pollution on our natural places, our wildlife - and their own health. While plastic has many valuable uses, we have become over-reliant on single-use or disposable plastic - with severe environmental consequences. Every World Environment Day has a different global host country, where the official celebrations take place. This year it is India. Prime Minister Narendra Modi will address an event marking the World Environment Day today. He will also visit the exhibition set up on the occasion at the Rajpath lawns. On World Environment Day, Khadi and Village Industries Commission (KVIC) today said a 'zero-effect, zero-defect' khadi product was a major agent in humanity's fight against global warming and climate degradation, reports PTI. KVIC chairman Vinai Kumar Saxena said for more than 60 years, khadi has been linked with India's fight for freedom and today it has emerged as one of the most eco-friendly products. He said that khadi has not only given India a unique identity, rather it also coexists with the most modern spinning and weaving mills and has the potential to make a place to itself in the international textile scene. "Our traditions emphasize on living in harmony with nature. We are committed to raising standards of living of people, in a sustainable and green manner," says PM Narendra Modi at function to mark World Environment Day. Sikkim Chief Minister Pawan Kumar Chamling today said it is duty of the people to protect environment from destruction in order to provide a better place for the future generations to live in. "On the World Environment Day, let us remember that we have a responsibility to protect our Mother Earth for our future generation," he said in a message. On this occasion, the chief minister called for a ban on use of plastics as a measure to save environment. Chief Minister E Palaniswami's announcement in the state assembly regarding the banning use of plastic items coincided with International Environment Day today. Plastic bottles have been used on the sculpture with message "Beat plastic pollution". 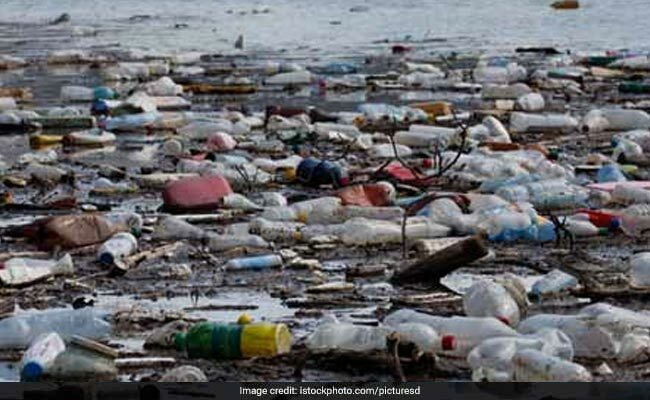 Tamil Nadu government bans plastic manufacture and use of water bottles, bags, cups, straw etc from January 1, 2019. Plastic packaging will only be allowed for milk, curd and medical items. Tamil Nadu Chief Minister E Palaniswami has announced the plan for plastic free Tamil Nadu in state assembly. This has been a concern for me and many other people including United Nations. 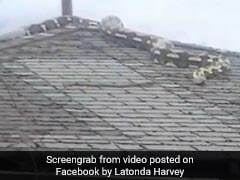 It's just that now there is a concrete action in the direction. 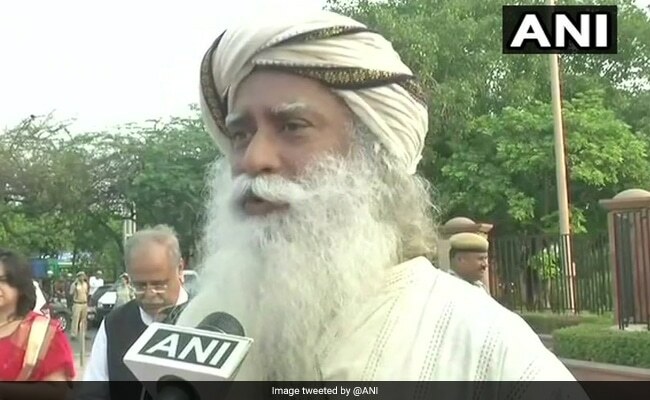 Plastic is a classic case of, whatever is given to us, we know how to make a problem out of it, Sadhguru Jaggi Vasudev said to news agency ANI. 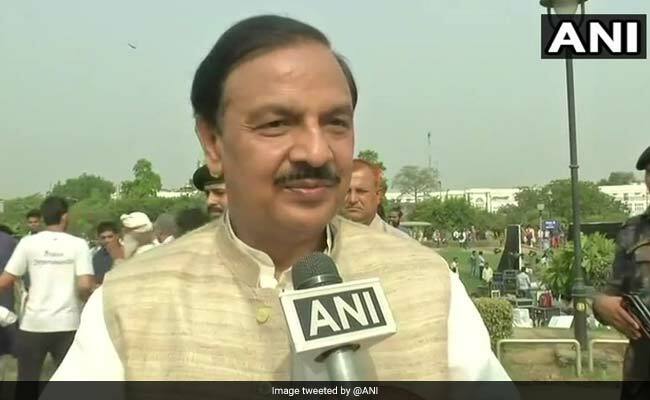 Union Minister of State for Environment, Dr Mahesh Sharma told ANI that, "plastic is a necessity for us, but it shouldn't become a curse. We have to abolish the use of single-use plastic in the world. We have a responsibility towards environment and mother nature". Our aim is to make India and world's home plastic-free to avoid enormous pollution to our environment and to our own health. 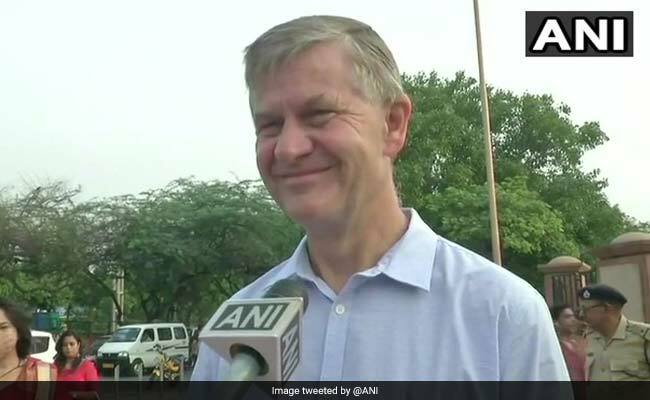 This must stop and there's no one better to inspire to this than Mahatma Gandhi and Sadhguru, said UN Environment Executive Director, Erik Solheim to news agency ANI. 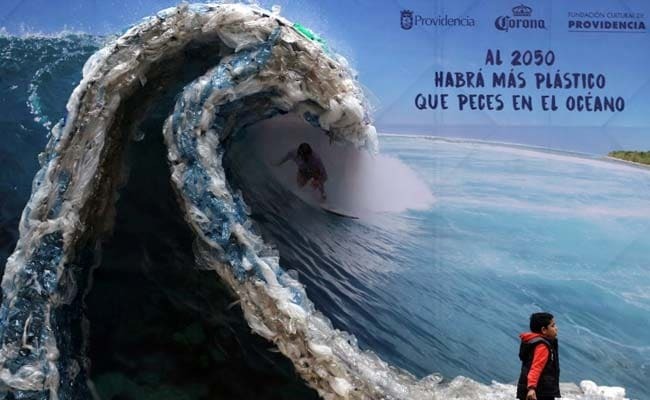 A billboard portraiting a man, surfing a wave made out of plastic bags and bottles, to denounce ocean's pollution is pictured in Santiago on the eve of the World Environment Day. If we can't reuse it, refuse to use it ! Let's take the oath to beat Plastic Pollution this #WorldEnvironmentDay and make our environment greener & cleaner. 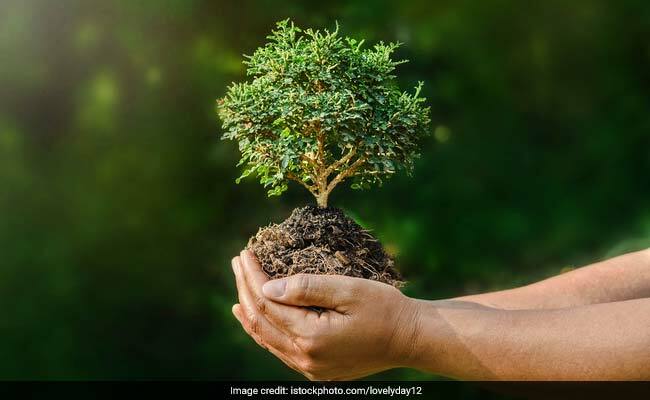 Various celebrities have also joined in to the movement and tweeted about the little initiatives they are taking on this World Environment Day. For consumers, the #BeatPlasticPollution action is clear - if you can't reuse it, refuse it.